Greetings from the West Coast! I’m heading to the game this Sunday to cheer on our Phins and hopefully see them get their first win of the season. The crowd at Third and Long will be awesome and I will definitely miss you guys! More to come later, including details on the tickets that we got for the Phins vs Jets game in NY. Enjoy the game and cheer loud Dolfans!! Posted in Events | Comments Off on San Diego Here We Come! I hope everyone had a good time at the Atlanta Game despite the loss.Â The bar was packed and I have proof! Check out the photo gallery below!Â Click the gallery to download the pictures! Posted in Photos | Comments Off on Week 1 Photos! First of all, we know the Dolphins lost, BUT….remember, they started last season with a couple of L’s and look what happened. Second of all….WOW….The turnout at Third and Long was H-U-G-E!!!! We had soooooo many Dolphins fans there, it was amazing!!! Thank you to everyone who showed up to cheer with us and definitely keep coming back! We’ll have photos and some more recaps posted in the next few days. Also, we wanted to thank EVERYONE who donated to the raffle. We raised A LOT of money for the I Will Foundation. It meant so much to us that everyone showed their support. We have tons of great prizes for the weeks to come, so keep buying those raffle tickets! NEXT GAME: Monday Night Football, on September 21st. It’s the home opener for the Dolphins against the Colts. It’s also Dollar Draft Night at Third and Long, so BE THERE!!! See you soon and GO DOLPHINS!!! Game 1 – This Sunday!!! The weather is cooling down, fantasy drafts are being conducted and jerseys are being pulled out from the back of the closet. FOOTBALL SEASON IS FINALLY BACK!!!! 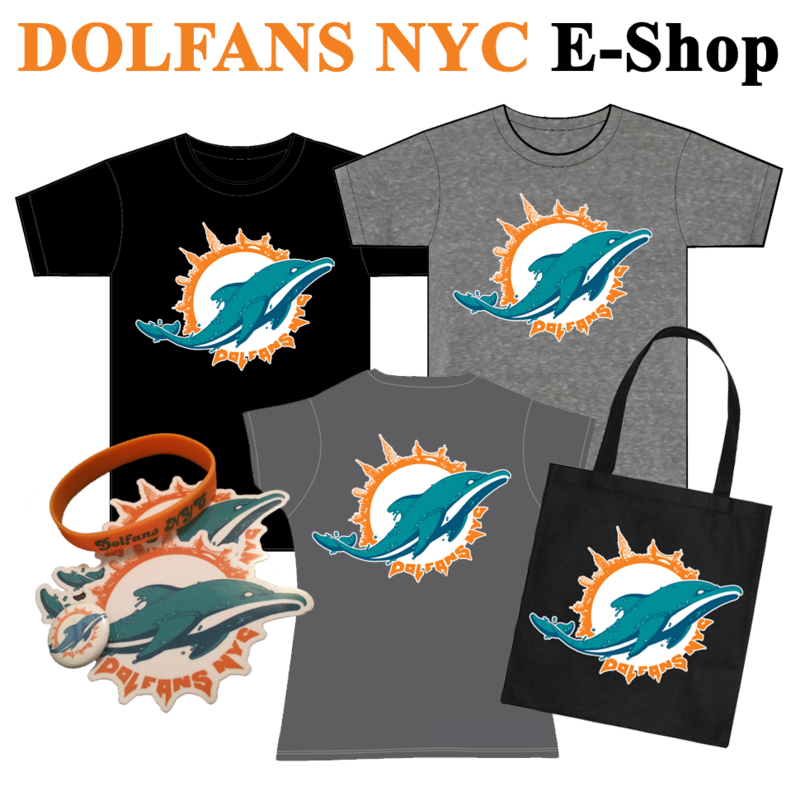 DolfansNYC is SO ready for the game this week when our Miami Dolphins take on the Atlanta Falcons in Atlanta. Come join us at the home of NYC Dolfans – Third and Long (35th and 3rd). Kickoff is at 1:00pm, but come early so that you can get a seat. Also, it’s BYO-Food, so feel free to bring your breakfast, lunch, brunch, snacks, etc. DRINK SPECIAL just for us — $1 off all drafts/bottles for anyone in Dolphins gear. It’ll be an awesome Sunday afternoon that you DO NOT WANT TO MISS! See you soon and LET’S GO DOLPHINS!!!! Posted in Events | Comments Off on Game 1 – This Sunday!! !